The Centers for Medicare & Medicaid Services (CMS) is giving practices more time to review their 2017 Quality Payment Program (QPP) performance data. Practices have until April 27 to check the information before it is made public on the Physician Compare website(www.medicare.gov). The original deadline was Dec. 31, 2018. The Physician Compare website is a consumer-facing website that provides patients with quality and utilization data for Medicare physicians. Physicians can review their reports through the QPP Portal(qpp.cms.gov). The data includes the latest 2017 performance information that is available for public reporting. CMS includes performance information that meets statistical standards (valid, reliable, comparable, and meets minimum reliability threshold) in a public Downloadable Database. 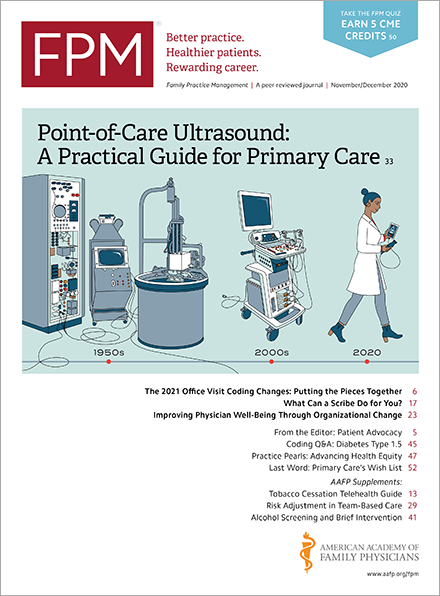 The Downloadable Database will include physicians’ final overall scores and scores for the categories of quality, improvement activities, and promoting interoperability (formerly advancing care information). Only a subset of this information is published on a physician’s Physician Compare profile page. As the 2017 QPP performance period allowed physicians to “Pick Your Pace,” CMS will not report quality measures for the 2017 Merit-based Incentive Payment System on profile pages. However, some measures reported through a quality clinical data registry (QCDR) may be published. A list of what CMS will publish in the Downloadable Database and on Physician Compare profile pages can be found by clinician performance(www.cms.gov) and group performance(www.cms.gov). Additional resources for physicians include the Physician Compare Preview Period User Guide(www.cms.gov) and a recorded Physician Compare National Provider Call(www.cms.gov). Physicians can contact the Physician Compare support team for questions about the program, public reporting, or the supplemental 30-day preview period at PhysicianCompare@Westat.com. For help accessing the reports or the QPP Portal(qpp.cms.gov), physicians can contact the QPP service center at QPP@cms.hhs.gov.